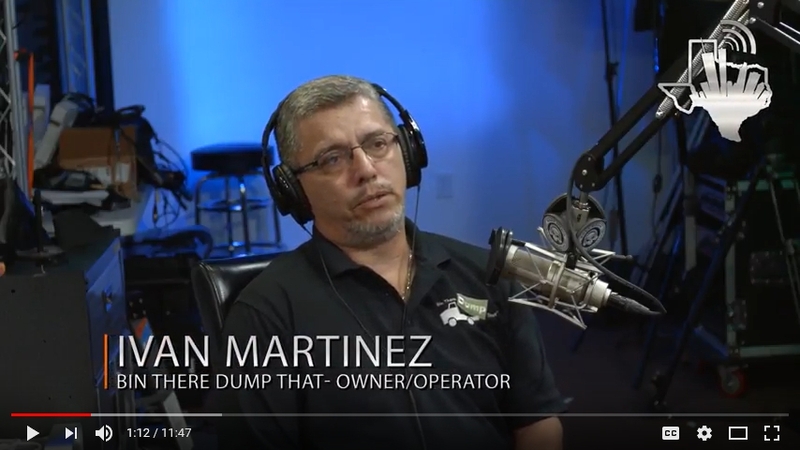 https://houston.bintheredumpthatusa.com/article/hurricane-harvey-cleanup-with-dumpsters-on-texas-business-radio	Bin There Dump That Houston	https://houston.bintheredumpthatusa.com/img/franchisees/54.png	20730 Highland Hollow Lane,, Humble, TX	Contact us for more details. Lives, homes, commerce and small business was all impacted by Hurricane Harvey’s devastation. I’m proud that our dumpster service has helped many residents of Houston to effectively clean up from the disaster and we’ll continue to help people over the coming months, if not years. The day after the floods in Houston, our phones were lit up; we received call after call after call. Truly, the call volume was too significant for our Dumpster Consultants to manage; many calls ended up going to voicemail. I’m proud of Marcy and the other Dumpster Consultants who made lists of all the calls we received and made sure to call each one of them back and add them to a waiting list to get them a dumpster as soon as possible. Mr. Register explored what differentiated Bin There Dump That from other dumpster service companies and the biggest differentiator is the size of our equipment. We travel into residential neighborhoods in a Ford F550 or Dodge 5500 truck and place a dumpster on your property that will still provide you access, meaning you can rent a dumpster, have it situated on one side of the driveway while your car occupies the other side of the driveway. Other dumpster services have greater difficulty accessing residential areas because their trucks and dumpsters are too large. Finally, we discussed the growth of the Bin There Dump That franchise throughout the United States, especially the state of Texas. Bin There Dump That currently has franchises that reside in; Houston; San Antonio; Dallas; Fort Worth; Austin; Waco and El Paso. I’m grateful for the opportunity to be featured on Texas Business Radio and I want to personally thank Matt Register and Jay Curry for the wonderful discussion.